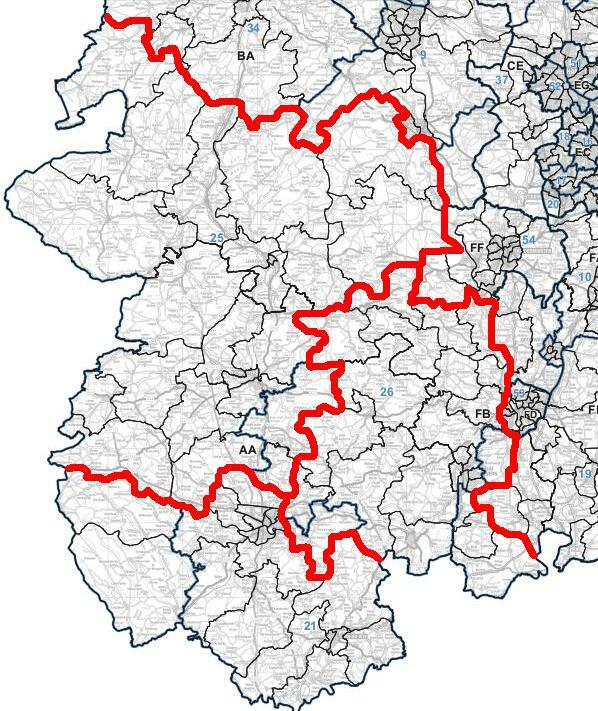 This area has been allocated 12 seats, and I broadly agree with the Commission’s proposals. 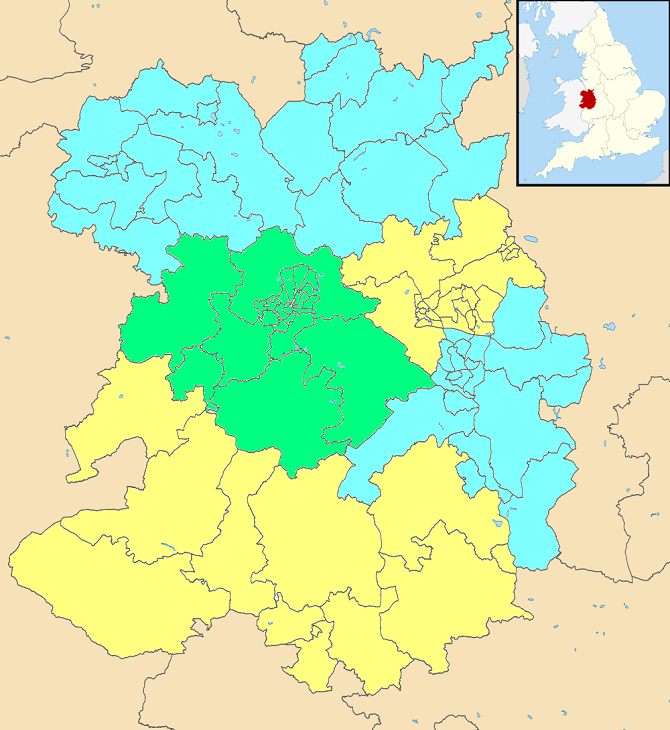 In particular, I think since Telford has to be split somehow, the north-south split is elegant and sensible. 1. The fact that Worcester and Shewsbury council areas have electorates slightly below the average does give less “wiggle room” in the rest of the region, but it is best to avoid adding an “orphan ward” from another council to make the numbers up. 2. The Commission has put Alveley in the Ludlow seat even though it’s separated by the River Severn; I’ve put it in the Bridgnorth seat. 3. 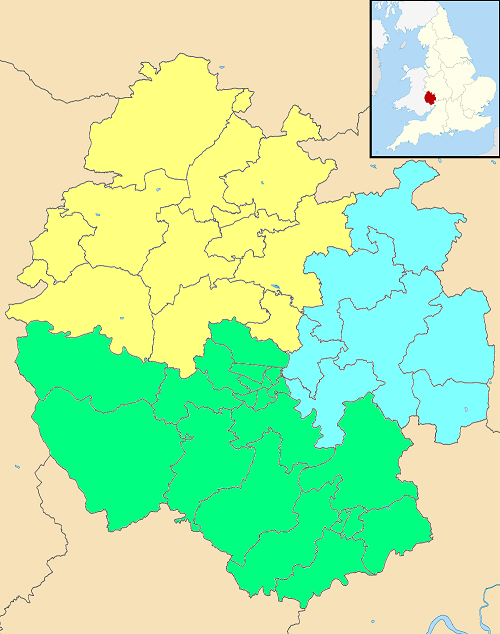 The Commission has put the Hartlebury area in the Malvern seat even though it’s in Wychavon; I’ve put it in the Evesham seat. 4. The Commission has put the Malvern Wells, Powick and Longdon areas in the Evesham seat even though they’re part of Malvern Hills; I’ve put them in the Malvern seat. 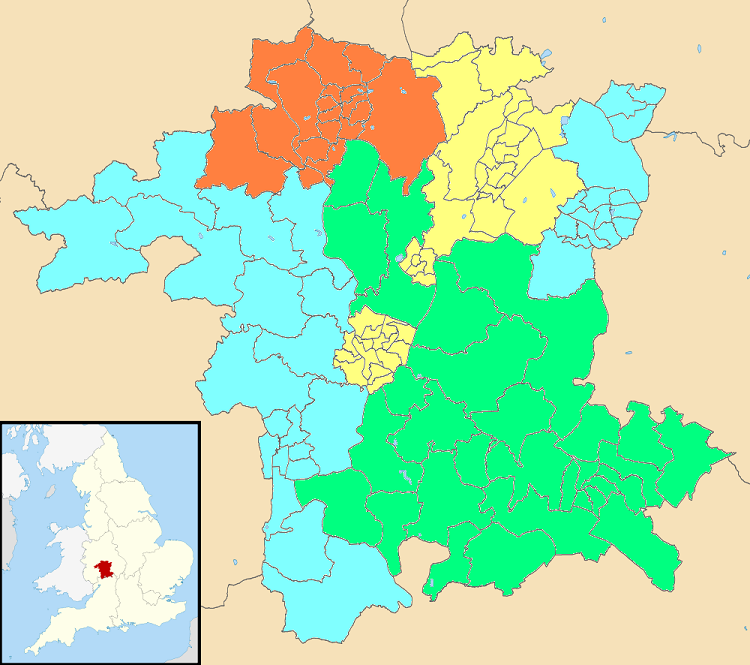 I’ve kept Upton and Kempsey in the Evesham seat because of the numbers. 5. At the last review, the people of Golden Valley campaigned successfully to have their area in Hereford and not in Leominster. It seems ridiculous therefore for the Commission to try the same trick again. 6. I’ve made a couple of switches north and east of Hereford, moving Tarrington from Hereford into the Malvern seat and the Bodenham area from Malvern into the Leominster seat. 7. I’ve indicated my changes in italics below.